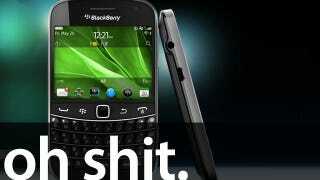 RIM, the maker of all BlackBerrys, is in hot water. It's not boiling yet, but I just dipped my finger in and it's definitely simmering after today's big announcement that RIM's bought JayCut, a video-editing company. Whatever could RIM want a video-editing company for? Is it for this rumored Apple TV-rival product that will supposedly stream content from Netflix, YouTube, and other services? I doubt it. Hailing from Sweden, JayCut and its seven employees work on an editing suite that is compatible with "any mobile device, using any media on the web," letting you "publish the result to any device or website." It doesn't take a scientist to work out RIM wants to include a video-editing tool on upcoming PlayBook tablets, and possibly even BlackBerry phones, too. "The BlackBerry PlayBook offers users premium multimedia features, including dual HD cameras for video capture and video conferencing, HDMI output and high resolution video playback. By working with JayCut to add video editing capabilities to the BlackBerry platform we can further enrich our customers' multimedia experience with BlackBerry."